Measuring and testing are a must in the automotive, machine and vehicle manufacturing industries. Research and testing has been a central part of our business from the beginning. With proper, reliable testing, many technical problems and warranty costs can be easily avoided. 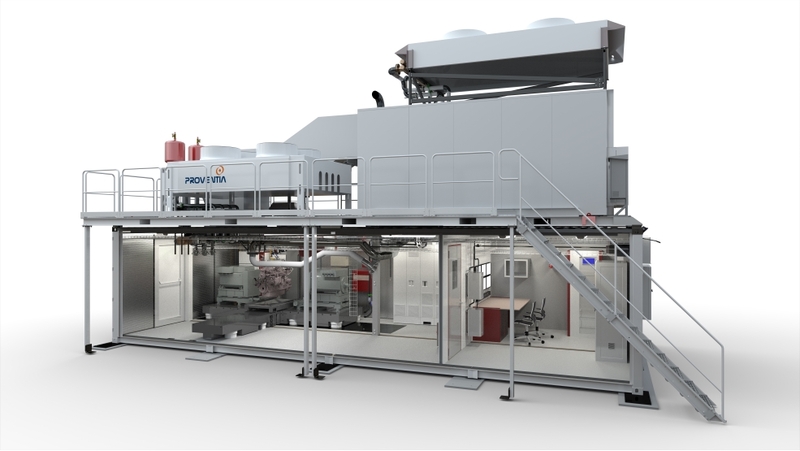 Proventia's solution for diverse engine testing needs is the modular testing facility concept. The modularity of the Proventia Test Units and Centres makes them fully scalable for a variety of testing requirements and the size of investment in question. 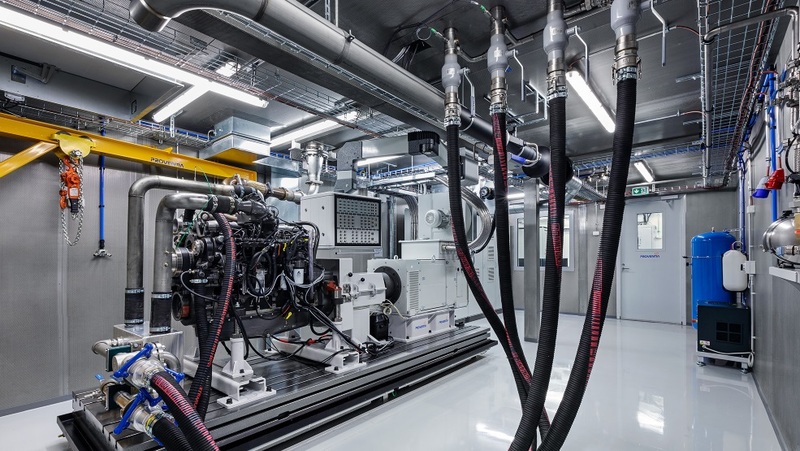 Our modular electric vehicle battery test laboratory is a new solution for developing and testing EV battery packs and modules used in hybrid (HEV), plug in hybrid (PHEV) and battery electric vehicles (BEV). Modular Proventia Test Centres provide a lot of flexibility for managing and operating the asset during its whole lifecycle. 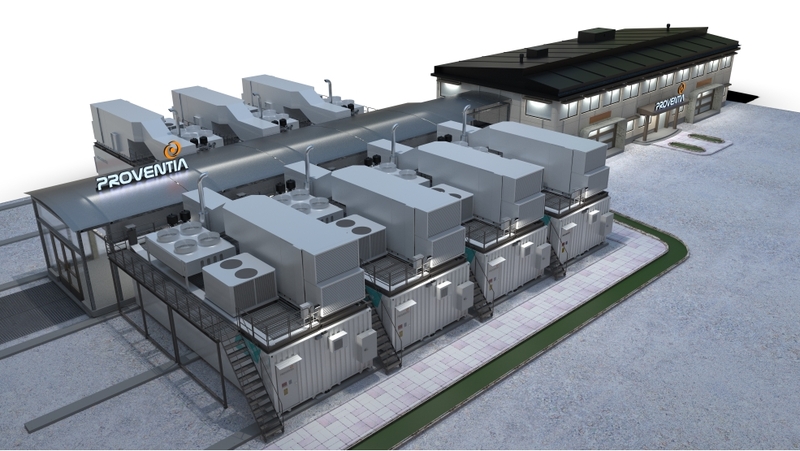 The modular test centres scale up from a single test cell to a complete test centre that can also be expanded in stages and deployed according to the capacity demand. The facility requirements for the main building are a lot simpler thanks to the surprisingly independent Proventia Test Units that contain all the basic facilities, such as ventilation, heat and air conditioning. This means that, from the point of view of the main building requirements, the Proventia Test Centres could be established almost anywhere and also relocated just as easily without the traditional limitations associated with the facility technology itself. Usually requires no building permit and avoids related restrictions, delays, etc. The Proventia Test Solutions transform into various test configurations, sizes and shapes of test benches and instrumentation sets. Modules and parts of the test centre can be easily replaced and the features improved, keeping the valuable asset highly productive in the long run. Even when the extent of the changes and upgrading would be significant, the modularity maximises the operational uptime and minimises potential disturbances between the different test cells. It is almost like changing cassettes in slots, with the smallest possible inconvenience to the user's daily operations. Supportive Proventia Facility Units can be utilised as a centralised measurement device. They can also be utilised as compressed air, calibration gas and conditioning device units that support several test labs around them. The modularity simply streamlines the creation of new test capacity and increases the business' ability to respond to rapid technical development. As a system integrator, Proventia explores the alternatives with different suppliers and puts up the best possible combination of test hardware, automation and building facilities to meet the customer's requirements, applicable regulations and customer-specific test practices. Proventia Test Solutions can be integrated with all commonly used test systems, and we are happy to work together with every single supplier in the branch. As an experienced and innovative R&D house, we use the best 3D engineering tools to design the applications with great precision and dynamicity. We are very familiar with BMS automation and operate our own test centre with different test automation systems in order for our knowhow to be as diverse as possible.